CapoVelo.com | Why do Cyclists Suffer from Cramps? CapoVelo.com - | Why do Cyclists Suffer from Cramps? Why do Cyclists Suffer from Cramps? I have a strong personal interest in the subject of Exercise Associated Muscle Cramps (EAMC) because I used to be a chronic sufferer back when I was competing. For as long as I can remember I seem to have been especially susceptible to ‘sudden, involuntary, spasmodic contractions’ of selected my muscles – to borrow a phrase from the dictionary definition – to the point where cramps ruined numerous important races for me. I’ve also been plagued with horrible contractions in my legs that have woken me up during the night after hard training sessions, and on one memorable occasion cramp even cost me a Chicken Tikka Masala when an extremely violent hamstring spasm made me kick over my table during a quiet meal after one race. Despite the fact that muscle cramps are a very common phenomenon – affecting anywhere between 40 and 95% of athletes at some point in their lives depending on which surveys you want to believe – and that they have been widely studied, no-one really knows the full story about cramp yet. In spite of this, over the last ten years or so I seem to have largely got on top of my issues with cramp. This has come through modifying my behaviour, diet and expectations of my body based on what I’ve learned through a combination of reading and personal experimentation. So, if you’re a fellow cramper, there may be hope. Here are some of the things I’ve picked up along the way in case they help you win your own war on cramp. If you want to skip past the science to the potential solutions, just click here (I won’t hold it against you). This theory is probably the oldest. It speculates that a significant disturbance in fluid or electrolyte balance, usually due to a reduction in total body exchangeable sodium stores, causes a contraction of the interstitial fluid compartment around muscles and a misfiring of nerve impulses, leading to cramp. In simpler terms, if you lose a lot of sodium and don’t replace it (as is common when you sweat a lot) it can cause fluid shifts in the body that in turn causes cramps. To read more about why sodium is crucial to performance read here. This theory is predominantly based on plenty of case studies, observational data, anecdote and expert opinion (what scientists call ‘level 4 and 5 evidence’). So, although there’s a decent amount of circumstantial weight behind it, it lacks the more “concrete proof” of data from large scale randomised controlled trials (RCTs) that is rightly considered necessary by proponents of evidence-based practice for it to be widely accepted as anything approaching ‘fact’. This theory is more recent and proposes that muscle overload and neuromuscular fatigue are the root causes of Exercise Associated Muscle Cramp. The hypothesis is that fatigue contributes to an imbalance between excitatory impulses from muscle spindles and inhibitory impulses from Golgi tendon organs and that this results in a localised muscle cramp. In other words, muscles tend to cramp specifically when they are overworked and fatigued due to electrical misfiring. This theory is much better suited to being tested in a lab (where researchers can ‘excite’ muscles with electrical stimuli and provoke muscle cramps to measure what is happening at an electrical level) and so there’s arguably more robust data to support it than is the case for the Dehydration/Electrolyte depletion model (although lab based evidence does have it’s own set of drawbacks). It’s probably also fair to say that, in certain circles at least, this theory is gaining widespread popularity at the moment. 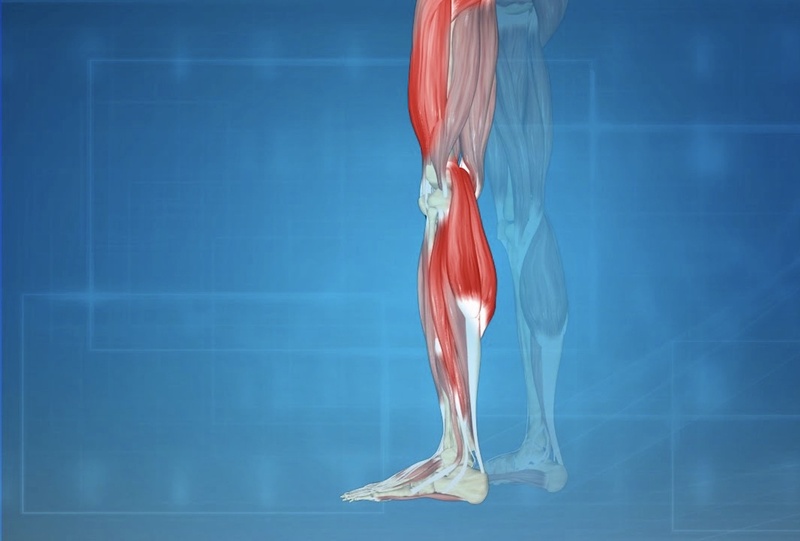 One big factor that does appear to support the neuromuscular theory is that stopping and stretching affected muscles is a pretty universally effective method to fix a cramp when it is actually happening. What stretching does is put the muscle under tension invoking afferent activity from the Golgi Tendon Organs (part of the muscle responsible for telling it to relax) and causing the cramp to dissipate. Studies in this area that looked at the general electrical activity of muscles (EMG) have also shown increased baseline levels of excitatory activity in fatigued muscles right between bouts of cramping – as if the muscles are firing away more excitedly than they should and ‘close’ to cramping even when they are not. Again this tends to support the conclusion that fatigue is somehow causing problems for the muscle to relax so are often cited to back up this theory. Field studies that have failed to find major differences in the blood electrolyte profiles of athletes getting cramps during events like triathlons and marathons are often cited to dismiss the dehydration/electrolyte theory. This is essentially saying that if there’s no difference in blood electrolyte levels between crampers and non crampers then it cannot be an influencing factor. Unfortunately what these studies tend to overlook is the fact that blood electrolyte levels can be quite stable in athletes in the face of vasty different levels of total sweat and sodium loss. This is because the body tends to protect sodium concentration in the blood at the expense of blood volume when sweat losses are high, so seeing similar blood sodium concentrations in cramper and non-crampers is not necessarily indicative of anything and could even be a bit misleading in the context of the bigger picture. In fact in one of the major studies often cited in this area researchers did find that crampers ended an ultra marathon race with statistically lower serum sodium values than non-crampers, but they deemed the difference ‘not clinically significant’ even if it was statistically different…and I think that this evidence can be viewed in different ways, depending on your predisposition! At this point it’s important to steer your thinking away from this being a binary ‘one or the other’ argument between two competing ideas, even though this is how the topic of cramping is commonly presented in both the scientific and mass media. As no-one definitively knows what’s going on with muscle cramps yet, focussing on a polarized argument between two incomplete theories is a lot less productive than looking at the bigger picture and considering the merits of both theories and the actionable advice they have to offer. A historical view on cramp. Back in the early 1900s cramp was more commonly viewed as a productivity issue for manual labourers doing hard physical work in hot environments, rather than not as an inconvenience to athletes. Between the 1920s and 1950s there were numerous documented cases of miners, construction workers, stokers, foundry workers and military personnel all suffering muscle cramps in hot conditions. Instances were usually associated with high sweat losses and sometimes with consumption of large quantities of water at the same time. Different groups of doctors and researchers took notes on numerous case studies around this time and some conducted rudimentary field tests. Whilst it’s fair to say that the research efforts were not anywhere near as rigorously structured as modern clinical trials, they did elicit a pretty universal consensus. That was that providing workers with adequate sodium chloride (salt) along with drinking water to help them replace what was being sweated out was quite effective in treating or preventing many cases of cramps. It was this kind of work that inevitably shaped our early understanding of EAMC in relation to athletes. These days it’s become quite fashionable for commentators seeking to ‘disprove’ the Dehydration/Electrolyte theory of EAMC to play down this early work in industrial medicine around salt and cramping as dated, flimsy and insignificant. This is especially true for staunch supporters of the neuromuscular theory. However, having read (and re-read) most of the work available from the era, I’m far from convinced that it deserves to be so easily dismissed. I actually feel that playing it down as ‘old hat’ is perhaps just a convenient (or even slightly lazy) way of dealing with evidence that is otherwise incongruent with a more contemporary – but not necessarily more correct – way of thinking. The first is a classic study on salt depletion that was carried out by a pioneering doctor – R.A McCance – in the 1930s. McCance was a hands on type of researcher and was intrigued by the question of what would happen to the human body if it was depleted of salt but not fluid (numerous studies into dehydration had already been undertaken by then). He organised a study using himself and a couple of colleagues as test subjects. Interestingly, as soon as the test subjects reintroduced salt into their systems (eating bacon and drinking the fat from the pan I might add) their recovery from symptoms – including the absence of further cramping – was ‘dramatic’ with effects being felt within 15 minutes of ingestion of the salty meal. This experience in particular – cramps disappearing soon after salt ingestion – is completely consistent with my own experiences in very long and hot triathlons when I had become salt depleted due to heavy sweating, so it definitely struck a chord with me when I first read it. It’s also congruent with lots of other anecdotal evidence coming from athletes who train or compete in similar conditions of heavy sweat loss, but more on that later. Another notable example of electrolyte disturbance associated with cramping can be found in case reports of people suffering with hyponatremia, especially when this occurs around exercise. Hyponatremia is a condition where blood sodium levels fall lower than they should be due to dilution by over-consumption of water, excessive loss of sodium from the body, or both together as is common amongst athletes. Cramping is often listed as a general symptom of hyponatremia in medical texts and there are case study reports in the literature such as one involving a UK serviceman who suffered cramps and collapsed whilst running in the heat in Saudi Arabia in 1991. He was successfully treated with intravenous saline (salt) solution and made a full recovery in the short term, but was later found out to have undiagnosed Cystic Fibrosis (CF) – a condition in which sufferers lose very large amounts of salt in their sweat. It seems likely that this high rate of salt loss could have pre-disposed him to losing more salt than others doing the same exercise (who did not cramp and collapse) and contributed to him suffered the cramps and fatigue on more than one occasion when exercising in hot conditions. Aside from this individual case it’s well known that CF sufferers can struggle with exercise in the heat, at least in part due to their elevated levels of salt and fluid loss through very salty sweating. There are a large number of case studies, observations and anecdotal reports from athletes whose cramping problems seem to be directly related to times when fluid and sodium balance are significantly disrupted due to heavy sweating. At Precision Hydration we recently conducted a survey of athletes who had reported that they had suffered with muscle cramps at one time or another. Of the survey respondents (numbering over 200 – mostly endurance athletes) 89% said that they had found that supplementing with sodium or salt during exercise had helped them manage or eliminate EAMCs, with just 11% reporting that this method had failed to help at all. As alluded to earlier, I also personally suffered through many long and hot triathlon races with debilitating cramps slowing me down during the run leg, or kicking in post race. Through simple trial and error I gradually learned to consume plenty of sodium before the race and during the bike section (usually in the form of salt capsules) and found this to be extremely effective at not only reducing my cramping symptoms dramatically, but also helping overall performance in the latter stages of events. Subsequently I also learned that I lose very large amounts of sodium in my sweat (approaching the levels that some Cystic Fibrosis sufferers lose) and that this is likely to have contributed to my issues. Whilst I could go on with more of these kind of examples from different sports and athletes it’s probably better to stop at this point and move on at the risk of getting repetitive. The bottom line is that there are a lot of examples out in the real world of people losing a lot of salt (often via sweating) and suffering cramps as a result and that, very often, increasing their intake of salt (or sodium in other forms) seems to provide relief, or even prevents cramps from happening in the first place. Of course, the big problem with case studies, observations and anecdote is that they can fail to paint a truly complete picture of what is really going on, because they can be influenced by bias, lack control groups and can fail to account for the placebo effect. It has also been pointed out that not all cramps can be traced back to sodium loss (think about cramps that occur in cool conditions or at times when sweat losses are not significant) and that not all cramps respond to increased sodium intake. This is one big reason that the Neuromuscular Theory has been developed to try to fill in the gaps where sodium loss does not provide an adequate explanation for what is likely to be going on. In the last five years or so (and somewhat connected with the rise of the neuromuscular theory) there has been a lot of interest in the use of compounds that can stimulate something in the mouth called ‘transient receptor potential (TRP) channels’ and the possible effects these might have on cramping muscles. TRP channels connect the mouth into the central nervous system and the hypothesis is that stimulating these receptors somehow causes a ‘jolt’ reaction down the nerves that disrupts the signals that are causing a cramp. Substances that stimulate TRP channels are things like wasabi, mustard oil and other pungent spices and it’s thought that this is where the idea of using pickle juice to cure muscle cramps (a common practice in the USA in particular) comes from. Pickle juice contains acetic acid and it’s believed to be this (rather than the high levels of sodium in it) that stimulate the TRP receptors and help relieve cramps. This would explain why cramps have sometimes been shown to be relieved almost instantly when pickle juice is ingested (the nerve stimulation happens almost instantly, whereas the sodium in it takes several minutes to travel to the gut and to be absorbed into the blood). It’s also consistent with the the general idea that the root cause of some cramp is found in the nervous system rather than solely an electrolyte imbalance. Are there things to take from both theories? One thing that makes cramping so difficult to understand is that it remains a stubbornly fickle and unpredictable phenomenon to pin down and study properly. This is one reason why evidence for both the Dehydration/Electrolyte theory and the Neuromuscular theory is often not as robust as it could be. Although I tended to cramp a lot when I was competing, especially in longer and hotter races, it didn’t happen every single race and it was relatively rare that it would occur in training. And this is the case for a lot of other athletes; cramps happen from time to time, but not all the time – so zeroing in on causative factors and cures can be tricky. The bottom line appears to be that muscle cramps are likely to have multiple causes including, but not limited to, electrolyte imbalances and neuromuscular fatigue and that, as a result, it’s likely that multiple interventions are likely to be needed to try to eliminate these ‘different flavours’ of cramp. At Precision Hydration we surveyed hundreds of athletes who reported suffering from cramp and 97% of them had tried more than one method in an attempt to alleviate the issue. So, how do I get rid of cramp? There is no ‘magic bullet’ available to kill off muscle cramping at the moment and it doesn’t look like there will be one coming anytime soon. Based on my own experiences and the historical evidence I absolutely think it’s worth looking at your sodium intake in relation to your sweat output. It’s a cheap and simple exercise and has little downside to it. It’s certainly a good idea if your cramps tend to occur during or after periods of heavy sweating, in hot weather, late on during longer activities or if you generally eat a low sodium (or low carb) diet. One note of caution however; if you do take on additional sodium, especially in the form of electrolyte drinks, make sure they are strong enough to make a real difference. Most sports drinks are extremely light on electrolytes (despite the claims they make on their labels), containing only about 300-500mg sodium per litre (32oz). Human sweat, on average, comes in at over 900mg of sodium per litre (32oz), and at Precision Hydration we often measure athletes losing over 1500mg per litre (including myself) through our Advanced Sweat Test. It’s therefore a good idea to look for upwards of 1000mg sodium per litre in a drink and over 1500mg per litre if you suspect you are a particularly ‘salty sweater’. A good way to see where this should fit in to the rest of your hydration strategy is by taking this free online Sweat Test. If you’re consuming salt or sodium separate to your fluids, in foods or capsule form, aim for a similar ratio (i.e. 1000-1500mg sodium along with each litre of water you drink) and remember that table salt (NaCl) is only 39% sodium (the other 61% is chloride), so you need ~3g of salt to give you ~1170mg of sodium. Take the extra sodium in the hours immediately before and during activities that normally result in cramping and see how you get on (there’s a specific protocol laid out in this blog I wrote about how to start hydrated). You’ll know pretty quickly if this is effective or not, and can fine tune your dosage to balance cramp prevention with keeping your stomach happy over time (really excessive salt or sodium intake can cause nausea). When I first started taking in additional sodium before and during long, hot triathlon races the effect was immediate and dramatic. I went from cramping up almost every time, to almost never having problems again. I ended up settling on a regime of consuming around 1000-1500mg of sodium per hour during long races (I lose a lot of salt in my sweat, 1,842mg/l in fact) and also found that taking this amount eliminated post-race cramping almost entirely as well. Train specifically for the event(s) that tend to induce cramps – i.e. with the right mix of volume and intensity to prepare your muscles for what is going to be asked of them. Pace yourself appropriately based on fitness levels and environmental conditions to avoid overloading muscles prematurely. Taper into events so that you are fresh and well rested when you start. Make sure you’re adequately fuelled with plenty of carbohydrates on board before you start events and that you fuel adequately to avoid becoming glycogen depleted which can contribute to premature fatigue. Thorough warm ups prior to cramp inducing activities. Although none of these are likely to offer a complete solution they are generally accessible, inexpensive and may even benefit performance in other ways, so there would seem to be little downside to giving them a try. 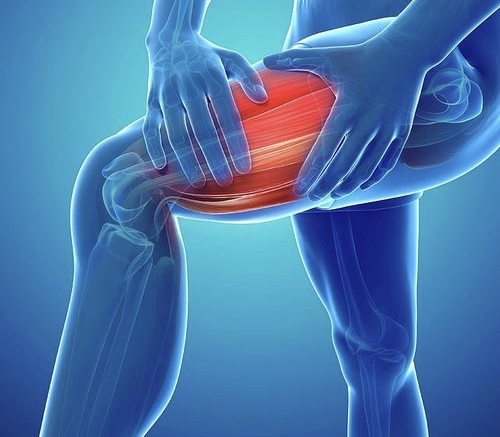 Hopefully this overview of the major theories on what causes Exercise Associated Muscle Cramp have left you feeling better equipped to fight your own war on cramp. For those who are interested, there’s another great summary of the topic you can delve into here.